How many of you still manage food outlets without any food ordering app? Or let's say how many of you aren't aware of online food ordering apps? Most of the restaurant owners have made a rapid switch to online food ordering apps in order to deliver a pleasant dining experience to their customers. And interestingly, it has shown exciting results to the restaurant businesses. The online food ordering apps also offer the way to get customer reviews and feedbacks that help restaurants in improving wherever needed. More customers, more sales, more profits, and more happy customers. When we talk about happy customers how often have you asked a customer to leave feedback about your restaurant? Maybe you would say never because you never gave a thought to it. Right? While few of you would say yes about taking the customer feedback. Most of the restaurant owners assume that their restaurant is doing fine if they are getting good sales. But you are wrong! Customer feedback is one of the most crucial steps while heading towards success in your restaurant business. If you are able to spot the negative points of your services, you can work upon it to improve your services and make the customers happy. So, once you are aware of your shortcomings, you can easily work on it and fix the problems while enhancing the customer experience. Still confused that whether adding customer feedback to your restaurant process is necessary or not? 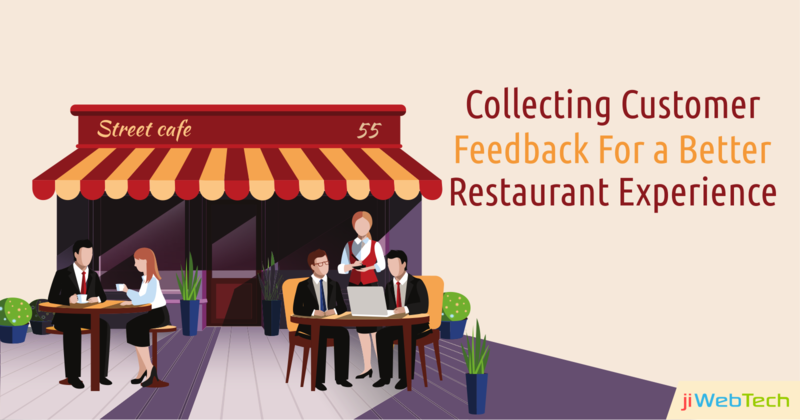 Let's get a quick overview of how customer feedback can enhance your restaurant experience. Better decisions: If you are building future strategies for your restaurant on your own assumptions would be a total waste of efforts and time. Rather if you have customer feedback with you, you can make better decisions about which all fields do you need to improve on. Grounds where your staff lacks, new requirements, all can be well defined if you get customer reviews. A pathway for other customers: In the ever running world and advancement in the technology, nobody is free to look up for your restaurant details or visit your website. Rather they will have a quick look over the previous customer reviews and make a decision accordingly. So, providing customer feedback lets you present your services to new customers in a more reliable and easy manner. Better utilization of resources: Launching a product or a new service directly into the market without having any idea of what customer expects from you would be a bad decision. Getting the customer reviews in advance let you know your customer needs better and helps you in meeting their expectations. let you know about what your customer demands are and what they are expecting from you. This lets you get an idea about how much you need to invest and work upon. Make customers feel special: No matter you are taking customer feedback on a paper or by filling it online, both are a good way to make your customers feel special. This will let the customers love your services and stay longer with your restaurant. Retain trust & faith: If customers give positive feedback, good enough! You are serving well. But if you get a negative review, this will be a chance to improve the service and present a better service in the future. Once the customers re-visit your restaurant and find improvement in your services see their problem solved, they would directly gain trust in your services. So, what are you waiting for? It's time to deliver a better dining experience to your customers. Looking for the best restaurant management platform and take your food business to the whole new level. Have any queries? Get in touch with us and get assistance from our experts!